Malwarebytes 3.0 is a multi-feature and next-gen security suite to keep your system safe from all types of threats. 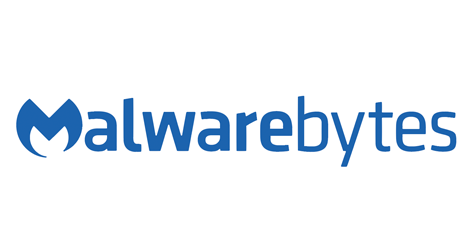 With the release of Malwarebytes 3.0, Malwarebytes has incorporated all of its security arsenal into a single powerful product. Malwarebytes is an advanced protection security aimed at providing a powerful shield to your system from the advanced and recent threats which are not easily detected by conventional signature based AV system. 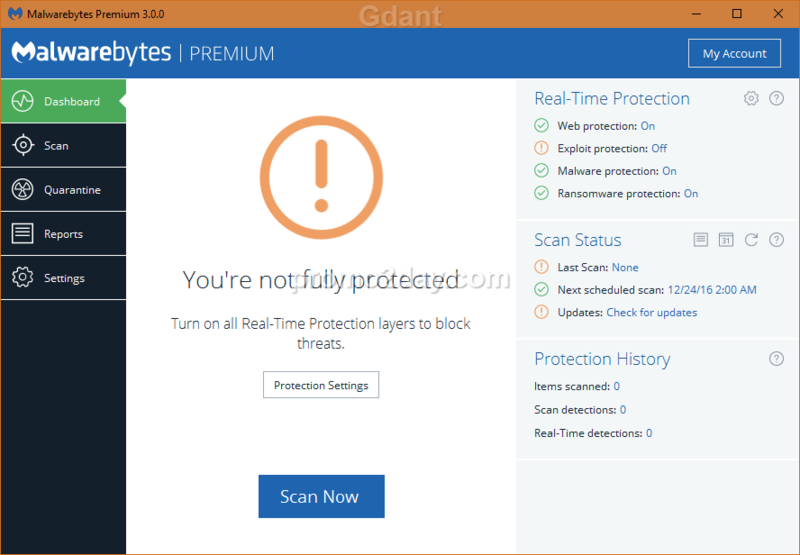 The integration of all pioneered technologies of Malwarebytes Anti-malware with Web Protection, Anti-Exploit and Anti-ransomware make the Malwarebytes 3.0 a complete featured program to keep you safe. The more exciting feature of Malwarebytes 3.0 is that it can be used as a complete protection suite or as a companion scanner along with your main AV since Malwarebytes 3.0 is compatible with most of the Anti-Virus programs. Now starting with the installation of Malwarebytes 3.0, the setup ask for only few user interruptions and within a matter of seconds it will get installed. The main dashboard of the Malwarebytes 3.0 is now more organised and attractive. It is divided in to three parts Left side as Menu Pane, Middle side as Status/Option Pane and Right side portion as Detail Pane. With the status details of the program modules and scanning status along with the protection history on the right side pane and protection status in middle makes the new UI more pleasing and user-friendly. If there is some issue with the modules monitored then the middle protection status pane changes along with the risk module info in right side pane. If you are a premium user and have bought license for Malwarebytes then you can activate it by going to MyAccount section (right side button in Blue color Malwarebytes top section pane). 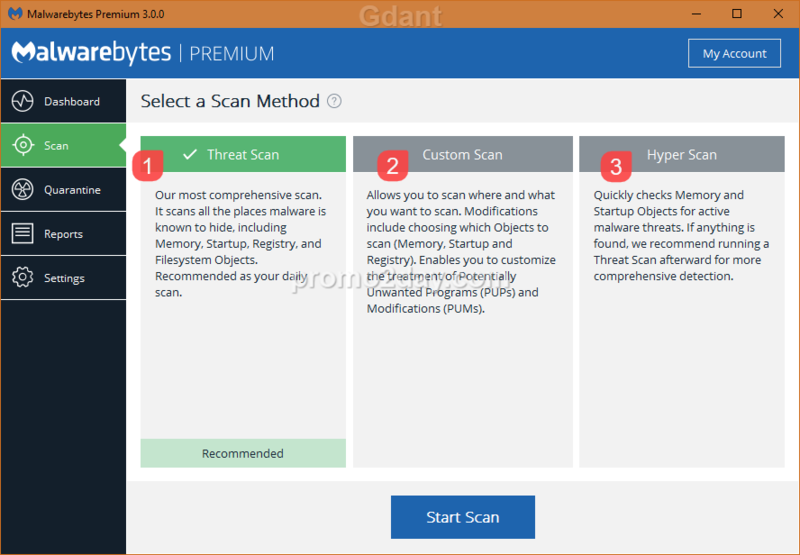 Threat Scan: - In this scan mode, Malwarebytes 3.0 searches for the threats in most common places where, in general, most of the threats hide itself or launch point. This scanning mode includes scanning of Memory Objects, Start-up objects, Registry Objects, File System Objects, Heuristic Analysis. This scan type is generally used in daily scanning task. I would like to say thanks to Malwarebytes Team for sponsoring these Exclusive licenses to our forum members. Validity of each license = Lifetime for 3PC. 1. Mandatory Only one entry per house hold & IP is permitted for this giveaway and use your real IP. If you use any VPN or Proxy then your entry will be invalid. 2. Share this giveaway on social media, any forum and put your share link with your comment. 4. Subscribe to our newsletter RSS FeedBurner and get all the latest giveaways and contests delivered to you by email. 6. You have to send a PM to Mohammad within 3 days after winners announcement otherwise your win will be void. Malwarebytes has been my favourite anti-malware tool since SUPERAntiSpyware days. I used to use SUPERAntiSpyware, Spybot - Search & Destroy and then I found this gem of a software. I like the new idea of combining different products in one version starting from version 3.It helps me in having greater security. THANKS FOR ORGANISING SUCH AN AWESOME AND HUGE GIVEAWAY!!!!!!! MALWAREBYTES IS THE BEST WHEN IT COMES TO PROTECTING YOUR PC AND KEEPING ALL KINDS OF INFECTIONS AWAY!!! I request to all participants please write some meaningful comment. It is very basic thing, please do it. Current time: 04-20-2019 , 01:49 PM Powered By MyBB, © 2002-2019 MyBB Group.